Adventures by Disney released released the Disney Cruise Line add-on packages for the 2016 Disney Magic summer sailings in Europe. Below is a brief summary of each ABD add-on along with starting pricing (prices for children are 11 years and younger.) Complete dates and rates are not available online, but I will try to match up the 2016 sailings with the offer. Bordered on all sides by rich cultures and a millennium of history, the Baltic Sea is the intersection of Scandinavia, Russia, and Eastern and Central Europe. See the breathtaking beauty of the fjords and arctic mountain ranges as you walk the cobblestone streets of picturesque towns frozen in time. The corresponding cruise is the 7-Night Northern Europe Cruise on Disney Magic – Itinerary A sailing on July 16, 2016 from Copenhagen. Prices starting at $2449 adults, $2329 children. Embark on a 7-night cruise along the coast of Norway. Sail along the country’s celebrated fjords, where you’ll discover charming towns, snow-capped mountains, cascading waterfalls and so much more. 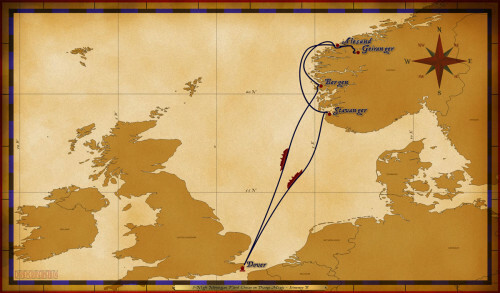 The corresonding cruise is the 7-Night Norwegian Fjord Cruise on Disney Magic – Itinerary B sailing on May 29, 2016 from Dover. Prices starting at $2449 adult, $2329 children. 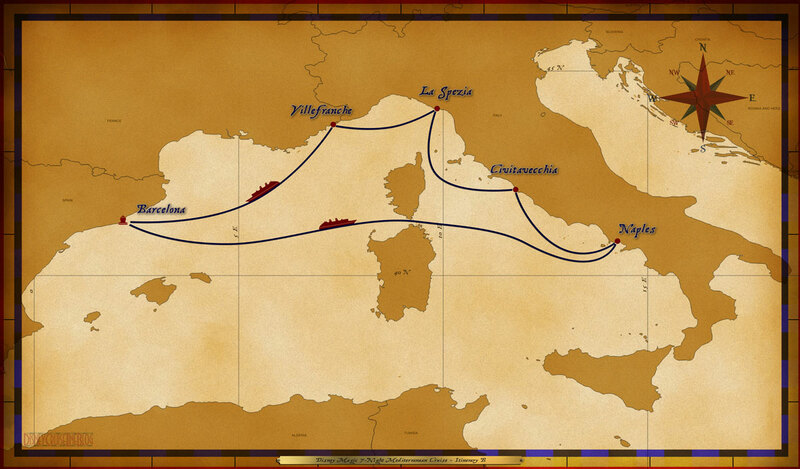 Guests will discover the best of every port with special guided experiences from Adventures by Disney. Hosted by Adventure Guides, this vacation packages offers VIP experiences and opportunities that immerse your family in the culture and history of the places you visit. Best of all your entire experience will be completely carefree. 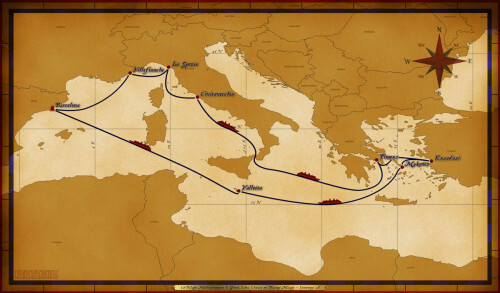 The corresponding itinerary is 7-Night Mediterranean Cruise – Itinerary B from Barcelona. 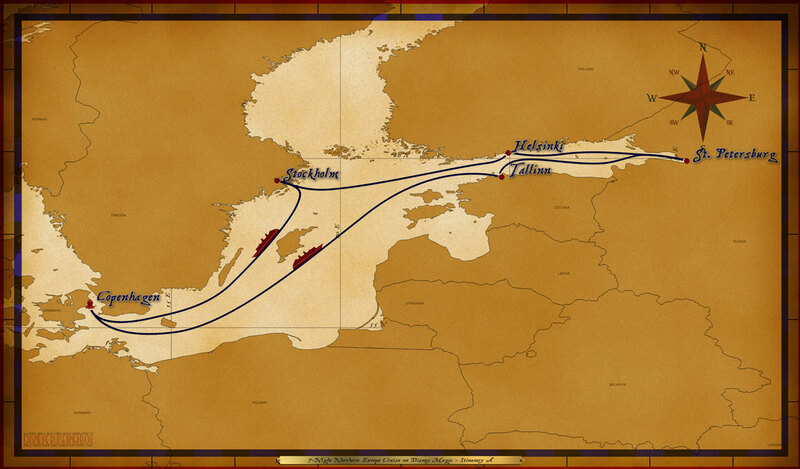 This particular itinerary has four sailings in 2016; August 20th, August 27th, September 3rd and September 10th. Prices starting at $2499 adults, $2369 children. From authentic pizza in Italy to Gaudi’s monumental Basilica in Barcelona, you can always expect Adventures by Disney to make sure you don’t miss the highlights. The corresponding cruise is 12-Night Mediterranean & Greek Isles Cruise on Disney Magic – Itinerary A sailing on August 1, 2016 from Barcelona. Prices starting at $3489 adults, $3309 children. Before you even board the ship, you’ll start your vacation with some of the best of Barcelona on an amazing journey the whole family will enjoy. Prices starting at $2089 adults, $1979 children. Copenhagen is a land of rich heritage and the birthplace of Hans Christian Andersen, author of the well-known fairy tales, The Little Mermaid and The Snow Queen (the inspiration for Disney’s movie Frozen). Your adventure in this city will take you through castles and canals, modern architecture and Viking history. Prices starting at $2299 adults, $2179 children. The London pre-cruise adventure will immerse you in history as you explore this enduring metropolis. While in London you’ll visit castles and cathedrals that have borne witness to centuries of weddings and royal events. You’ll also get some of the best this metropolitan city has to offer, including regional cuisine and modern attractions. Prices starting at $2499 adults, $2369 children. I’d like to thank Tracy from Travel On A Dream for sharing the starting pricing with us as this information is not currently posted on AdventuresByDisney.com. This entry was posted in News and tagged 2016, Adventures By Disney, Baltic, Disney Magic, Mediterranean, Norwegian Fjords by Scott Sanders. Bookmark the permalink.